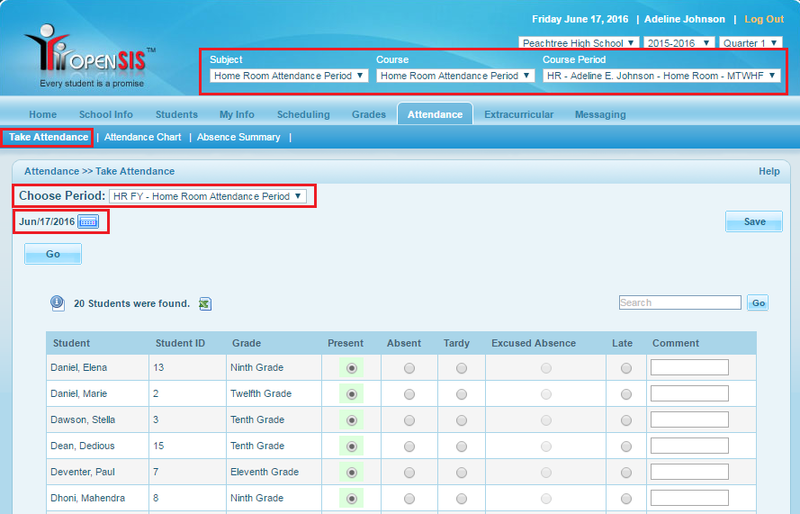 To take attendance for the students, teacher will need to select the proper subject, course & course period from the top panel menu. Then, go to Attendance >> Take Attendance. Select the period for the chosen period from the list and the date will be selected to today's date by default for taking current date's attendance. If teacher wants to take any other days attendance the date needs to be changed as per requirement and then attendance can be taken. When the date is changed, an alert message will be displayed. If a wrong course period has been selected in which the attendance setup is not done, teacher will receive an error message marked in red.